Can you see the stars in the cinnamon? I enjoy being different. I don't usually mind the difference between being laughed at and laughed with. And I always, always want to be as me as I possibly can be. But sometimes that's hard! Sometimes it's easier to blend in, or even hide a little bit. And I think those little moments are allowed if they remain just that-- little moments. The rest of the time, you should just be you. You've heard it a million times before simply because it's absolutely true. 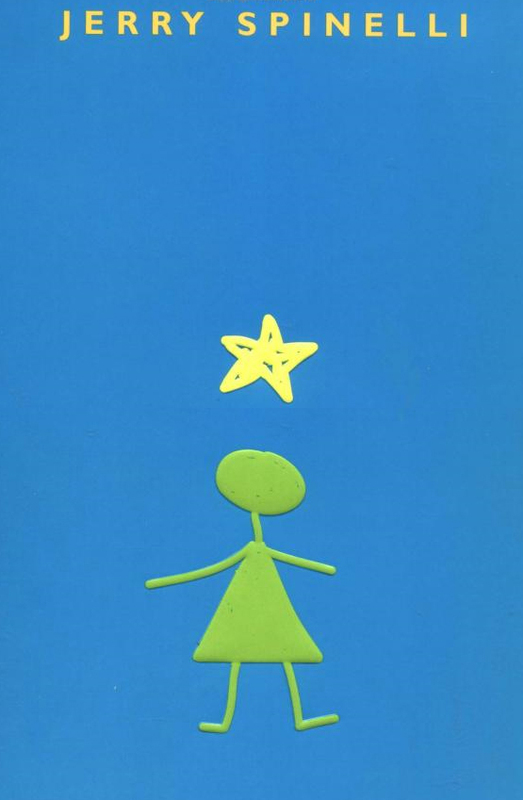 One of the best stories about exploring the line between being yourself and being what the world seems to want is Jerry Spinelli's Stargirl. Maybe you're a skater or a singer or a writer or a biker or a laugher or a joker or an engineer or a cook or a nurse or a barista or a pastor or a parent or a girl with a ukulele and a pet rat named Cinnamon. And you don't have to pick just one! I'll stop being preachy now and just say how much I love this book. I picked it up again a month or so ago and I was so happy to reread it that I left it right at the front of my bookcase when I was done. You know, just in case I want to read it again. Like, tomorrow. Lately, I've decided I'm someone who cooks (read: experiments in the kitchen and makes it up as she goes along). And so here I stand (actually, I'm sitting) before you all, sharing a made-up recipe that I can be proud of and a few fun pictures. I am happy to be this person, this person who experiments in the kitchen and shares her findings with words. 1. Preheat oven to 350°F (177.7 C) and prepare your muffin tin. 2. Beat all the ingredients together on low (30+ seconds) then medium (2+ minutes), scraping the bowl occasionally. 3. Make the frosting (see below). 4. Bake for 20-25 minutes, until a toothpick (or fork or skewer or something) inserted in the middle comes out clean. Place on cooling racks. You may have noticed this has 3 yolks and my recipe says 2 eggs. TWIN CHICKENS! 1. Beat butter until it's fluffy. 2. Add vanilla and honey. 3. Add in powdered sugar slowly. The amount depends on the consistency of frosting you want. If it gets too stiff, add some milk or cream. 4. Frost your cooled cupcakes and sprinkle with a bit of cinnamon! These cupcakes are best enjoyed with whatever beverage is your favorite today, and a good book. Dorian Gray, you are not ignored! In fact, your comments have inspired me. I'm looking for my copy of your book, and I intend to create a post in your honor sometime soon. I do hope you continue reading and commenting! I realized two somethings this week. The first something is that it is so much easier to take a book and derive a recipe from it than it is to take a recipe I already have and match it to a book I've read. The second something is that perhaps I need to be bolder in recommending books to you all. I feel I am sometimes apologetic about the books I am choosing, and you know what? I don't need to be. You might not like these books! You might judge me based on what sort of books they are! But I don't care anymore, because by sharing these with you, I'm merely being honest. And so, from here on out, I do not intend to apologize for my choices. That being said, Boyf does not like this book, but I absolutely love it. It's really just a bunch of philosophy and postulation built into the minds of the two main characters (though I would argue with you that Renee is more the main character than Paloma). Somehow the prose I read (in English) is beautiful despite being translated from the original French. It is jarring, sad, reflective; it is about the beauty of life, shown through cultured, intelligent, lonely eyes. And it touches upon indulgence. Some of the best moments in the book involve meals, whether it is the glorious, ceremonial moments Ozu shares with Renee and Paloma or the secluded, secretive moments Renee experiences alone. There truly are moments of French pastries and Japanese tea, and the delicacy of the two compliment each other quite nicely. These cookies are (dare I say it?) almost perfect. I have made shortbread quite a few times before, but never before did they turn out so lovely. They were crisp and light and just barely browned on the bottom. 1. Mix the butter and the sugar together. I used my beautiful Kitchenaid mixer for about 15-20 seconds, but you could use a pastry blender, a fork, or your (clean!) hands. If you use that last method, do it quickly so you don't melt the butter. 2. Add flour, salt, and almond extract, and mix some more, until it seems lighter and less dense. I mixed in the Kitchenaid for 3 minutes this time, until it was almost fluffy-looking. 3. And now the recipe splits! Follow all A steps or all B steps; do not mix and match! 3A. Roll out and cut into shapes with your cookie cutter, and place on a prepared cookie sheet. 3B. Chill dough for 20-30 minutes. 4A. Chill cookie shapes in fridge for 30-40 minutes. 4B. Pull dough out and roll into balls. Flatten them and, if you want, sprinkle with some extra sugar. 5. Bake at 350°F (177.7 C) for 8-10 minutes. This meal is best enjoyed with some delicate jasmine tea and a good book. Have you ever read a book by Sarah Dessen? If you're a female within a few years of my age, I hope you say yes. If you're not, I pretty much expect you to say no. But let me warn you now, this will not be the only time I'll post about one of her books. Essentially, her books are teenager chick flicks. They're perfect for reading on the beach or on a lazy afternoon when you need a bit of an emotional catharsis, but nothing too thought-provoking. Most of her books tend to be similar, with one exception (and that book happens to be my favorite and is called This Lullaby). 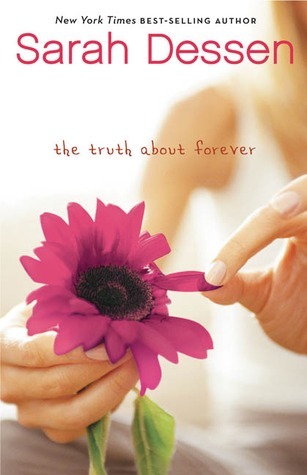 Right now, though, I'm writing about another of her books, The Truth About Forever. It really captures the "getting to know you" stage of a relationship, and it's also about… (drumroll) a catering company! One of their dishes involves ham and biscuits, hence today's recipe. I made stromboli for Boyf's birthday dinner last week, and today is my brother's birthday. So happy birthday, gentlemen! Here is a plate. I think it would be fun to work with an active catering company, but my experience with that world is pretty much limited to this book, and I promise that don't have any unrealistic illusions about the real world (Okay, maybe I have a few). This book is not a literary masterpiece, and I'm the first to admit that. But as a lover of books, I find that I don't want to discriminate. 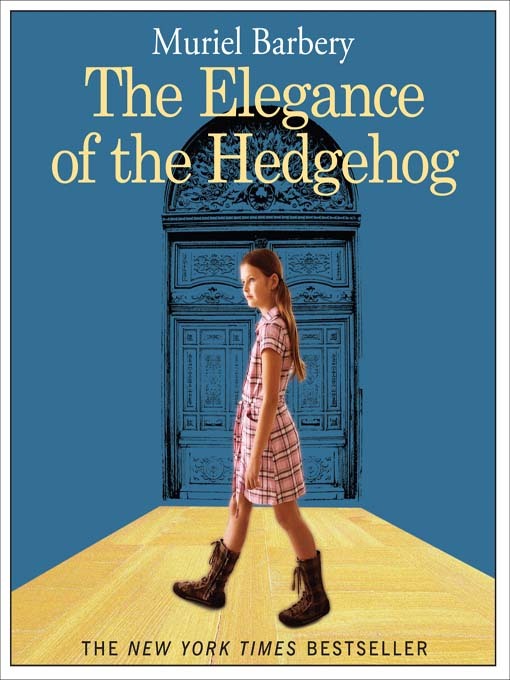 I can enjoy an easy-to-read young adult novel just as much as a well-established classic and I can enjoy a fast food cheeseburger just as much as a gourmet steak. This week's recipe is straight from my childhood, a wonderful contribution by my lovely momma. She used to make this for us pretty regularly, and that still wasn't enough. Her stromboli is full of delicious, thin, salty layers and thick, soft, bready bits, and is the perfect consistency for dipping into spaghetti sauce. And the best part? I have recently learned that it is ridiculously easy to make. Sorry to spoil the secret, momma! You still always make it better than I do. Optional: mushrooms, onions, sausage, olives, etc. Get crazy! 1. Preheat oven according to bread package. 2. Unroll the bread and place on lightly greased cookie sheet. 3. In the center of the bread, layer the meats and top with a generous amount of mozzarella cheese. If you're adding other ingredients, throw them in now, too (In my most recent batch, I threw in some sauteed onions and mushrooms). 4. Roll up the bread and seal the sides so it doesn't leak out. Place it seam side down on the cookie sheet. 5. Spread butter on the top and sprinkle with the parmesan cheese. Bake for about 15-20 minutes (the bread and the cheese on top will just barely start to brown). 6. Let it cool for a few minutes and slice it up! Serve with spaghetti sauce. We usually make double batches, for two reasons. 1) It goes quickly and 2) it makes fantastic leftovers. This meal is best served with your favorite wine, for in vino veritas... and a good book. Do you like books that are effortlessly quirky but also verbose? Do you want to read something that is simultaneously semi-mindless (i.e. read it by the pool) and something that requires a good deal of concentration? Are you simply curious what Joseph Caldwell was talking about when he titled this novel The Pig Did It? Keep reading. I haven't yet made someone read this book, because I worry that it's a bit too strange. And yet I love it so much that I'm in a state of shock that I haven't yet tracked down, purchased, or asked for its two sequels. Let me put it this way: Some books create a world. Some books create an ensemble. This book creates a mood. "Aaron McCloud had come to Ireland, to County Kerry, to the shores of the Western Sea, so he could, in solitary majesty, feel sorry for himself." 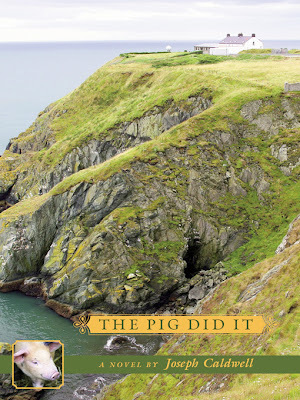 I have a hardback copy of The Pig Did It sitting on my shelf, with two empty spaces beside it for sequels*. And hey-- if the pig did do it, let's call this recipe a bit of punishment… for the pig. I promise you, it will be a reward to whoever is lucky enough to eat it. Hopefully that person is you. These are salty and sweet, one thing and another, just like The Pig Did It, and I certainly hope you enjoy them. And let me tell you, they are easy. So easy. You don't even need to measure! *I'm sort of lying. There is always and never more room on my bookshelf. 1. Preheat oven and prepare a cookie sheet. I put mine at about 375°F (190.6 C) but exact temperature isn't important for these. 2. Prepare your work station so that you don't contaminate everything with bacon. I put the brown sugar in one dish, and the dates I was using in another (rather than grabbing them straight out of the package). 3. Slice the bacon in half. 4. Lay out a half piece of bacon and roll it around a date. Hold it together by stabbing it with a toothpick. 5. Roll the bacon-date in the brown sugar (or maple barbecue seasoning. My lovely mother suggested I try this, and it was fabulous!) and put it sideways on the cookie sheet. 6. Repeat until you run out of bacon or dates or space in your oven. Don't worry if any of that happens sooner than you'd like; these are so easy you can just make more tomorrow! 7. Sprinkle the top with more brown sugar because you'd have to throw away what's in your little contaminated dish anyway. 8. Bake! Check them regularly. After the tops start to brown, turn them all over and bake the other side for the same about of time. 9. Wash your hands and let them cool! 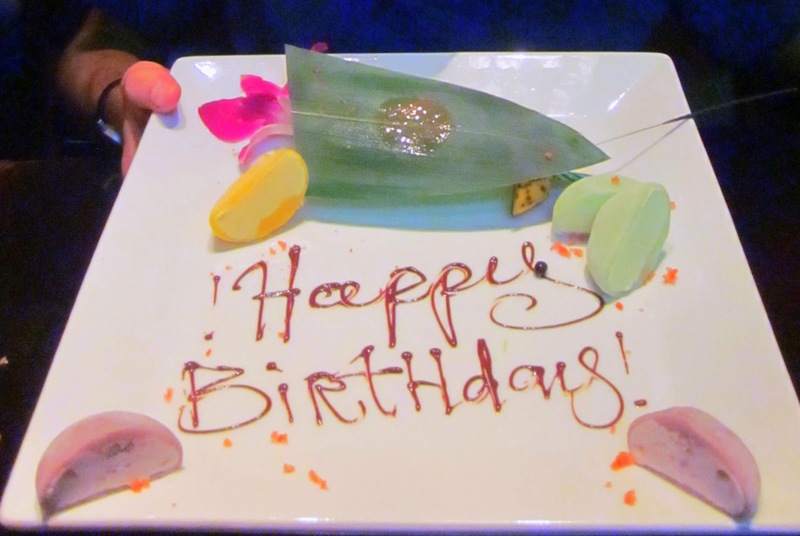 Molten dates stuck to your teeth are NOT fun, and neither are food-borne illnesses. 10. Enjoy! No seriously. I don't care if you don't like dates and/or bacon, just make these and try them anyway. Because you will change your mind. These delicious morsels are best enjoyed with a pint of Guinness, a healthy dose of wallowing, and a good book.